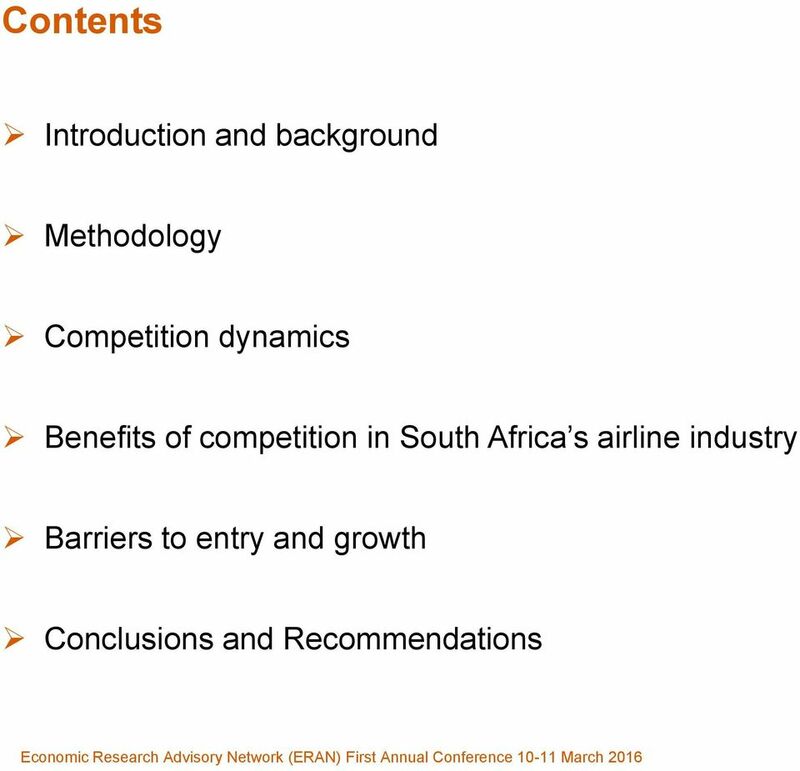 Download "Barriers to entry in the Low Cost Airlines sector"
3 Introduction and background Barriers to entry and inclusive growth a research agenda. This paper draws from a recent study carried out by CCRED on the on the behalf of the National Treasury of South Africa. The study locates itself in the ongoing national debate regarding transformation and development of the black industrialist programme. 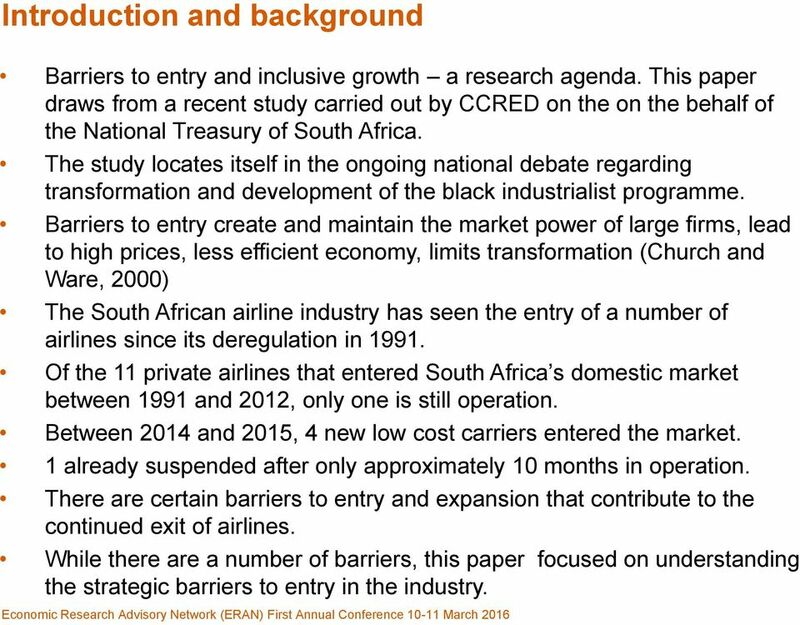 Barriers to entry create and maintain the market power of large firms, lead to high prices, less efficient economy, limits transformation (Church and Ware, 2000) The South African airline industry has seen the entry of a number of airlines since its deregulation in Of the 11 private airlines that entered South Africa s domestic market between 1991 and 2012, only one is still operation. Between 2014 and 2015, 4 new low cost carriers entered the market. 1 already suspended after only approximately 10 months in operation. There are certain barriers to entry and expansion that contribute to the continued exit of airlines. 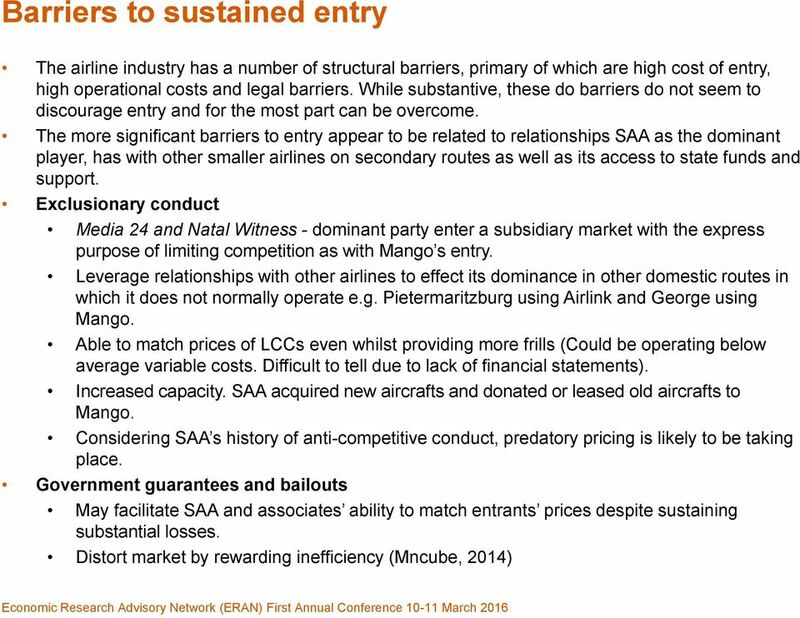 While there are a number of barriers, this paper focused on understanding the strategic barriers to entry in the industry. 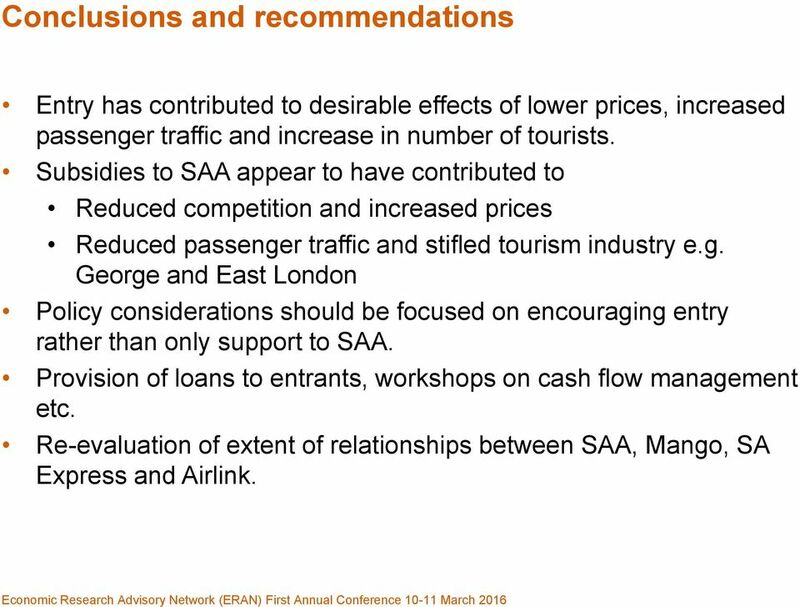 9 Conclusions and recommendations Entry has contributed to desirable effects of lower prices, increased passenger traffic and increase in number of tourists. 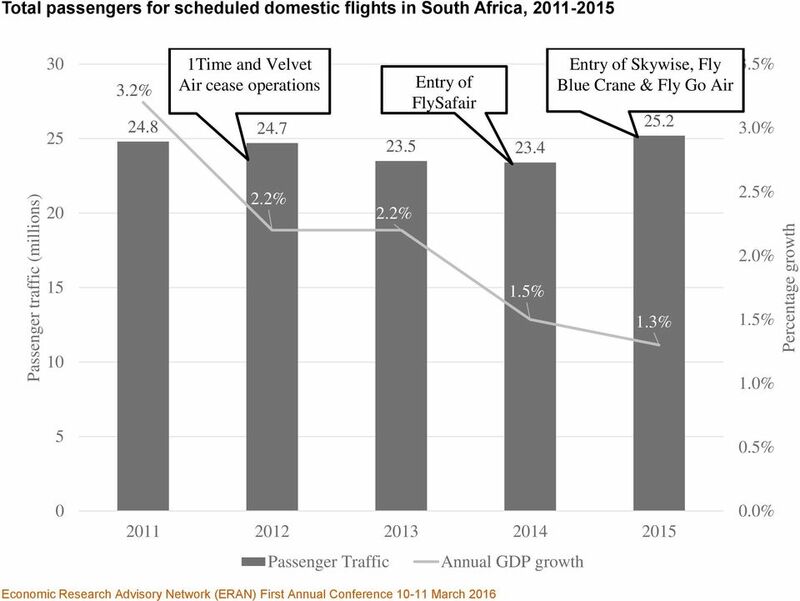 Subsidies to SAA appear to have contributed to Reduced competition and increased prices Reduced passenger traffic and stifled tourism industry e.g. 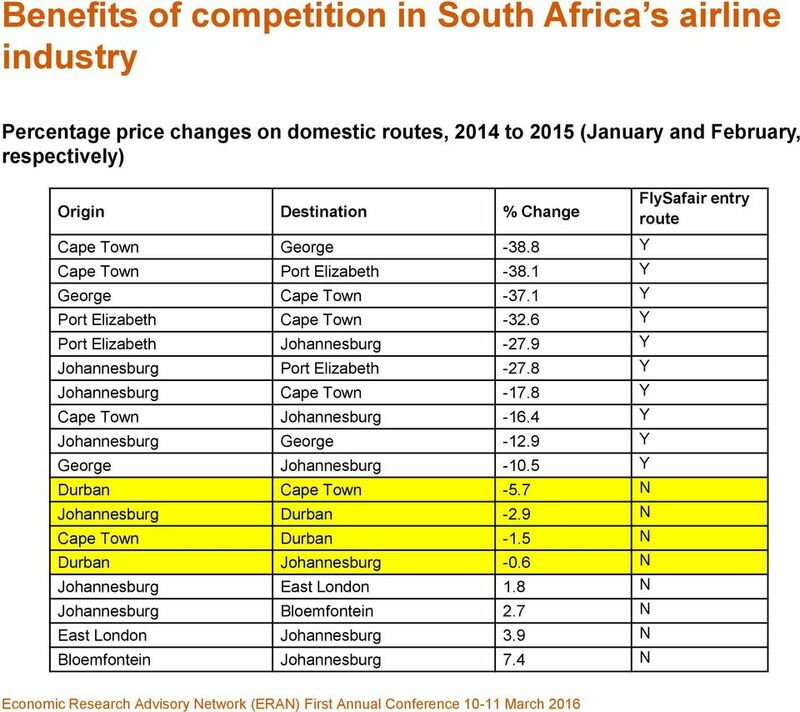 George and East London Policy considerations should be focused on encouraging entry rather than only support to SAA. Provision of loans to entrants, workshops on cash flow management etc. 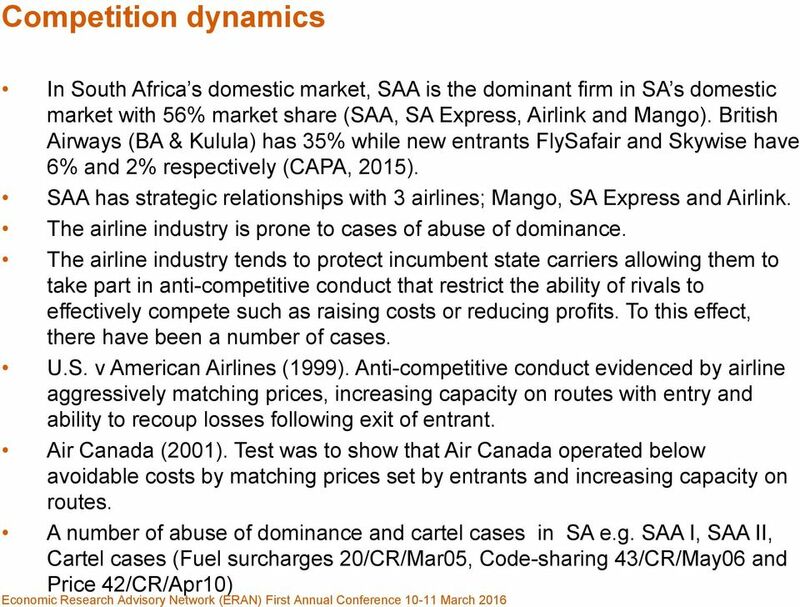 Re-evaluation of extent of relationships between SAA, Mango, SA Express and Airlink. 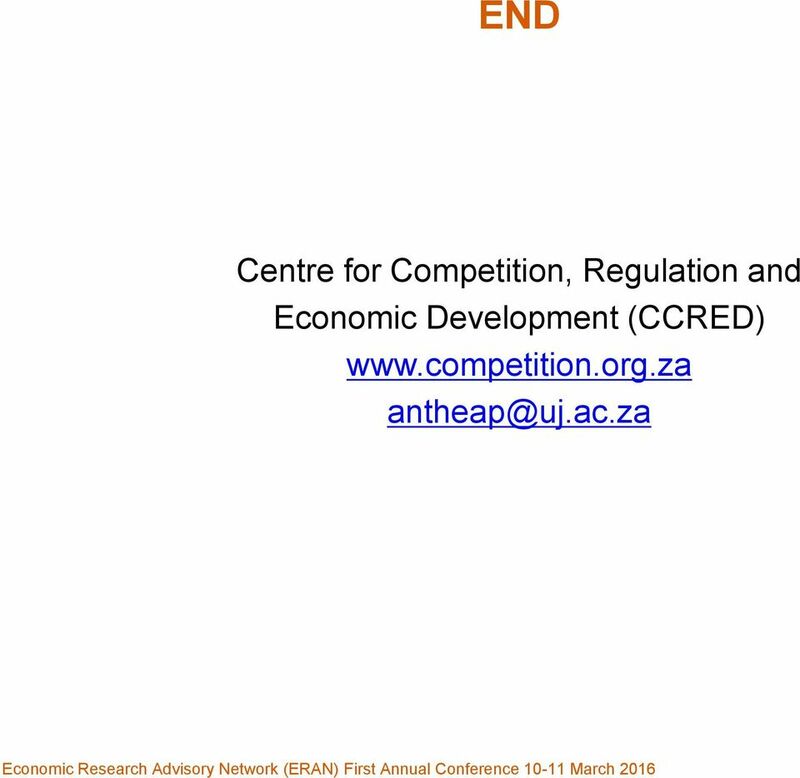 Overview Company Background ECN a division of Reunert Limited, was founded in January 2005 with the specific aim of exploiting the impending liberalisation of the South African telecommunications market. Total ancillary revenue (USD): top 5 Ancillary revenue as % of total revenue: top 10 $7.3B. Allegiant. Ryanair. Spirit. Qantas. Ryanair. Corporate Governance Challenges Croatia Airlines Srećko Šimunović Mirko Tatalović Jasmin Bajić Zagreb, November 03-04 2011 Contents 1. 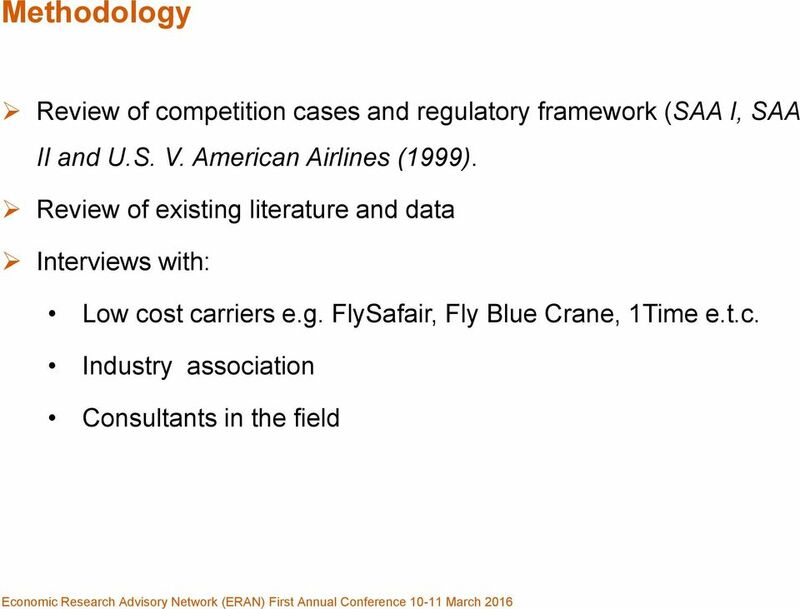 Economic and Social Benefits of Air Transport 2. alliances 3. s 4.